Stay at the Quality Inn and Suites near International Drive with free shuttle service to Universal. Stay at the Doubletree by Hilton near Universal and be within walking distance of Universal Studios Florida, Islands of Adventure and CityWalk. Mystic Dunes Resort And Golf Club offer spacious family-sized orlando apartments for the price of a hotel room! situated within driving distance of all theme parks. Pre Book your April Holidays to Florida in 2017 and enjoy the benefit of getting your seats booked early. Travelling in April is a brilliant time to go as the half term holiday break helps with unauthorized leave problems by the school due to the Easter half term break. We have peak Saturday availability on both the 8th and the 15th April at quite reasonable prices. They will be with one change on route. 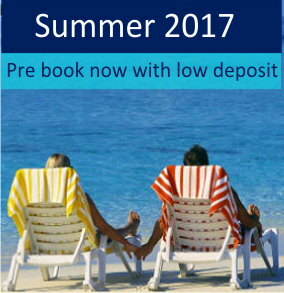 Direct flight prices are available on both Virgin or British airways from either Gatwick or Manchester but are getting booked quite quickly. 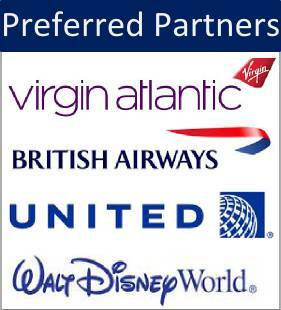 You can pay with a low deposit for your April 2017 Florida holiday with balance due 12 weeks prior to departure. .
We offer packages to Florida in April on US Airways, United Airlines, American Airlines ,Delta Airlines with very limited availability on British Airways to Tampa too. If you don’t mind a 2 centre holiday along the Gulf coast or Atlantic coast then either Miami or Fort Myers sometimes have more availability please ask our Florida expert for any assistance required..
Below we have put together two holidays for your April 2017 Florida holiday both with limited availability. The first one is flying with Delta Airlines via Atlanta from Manchester with good connections to Tampa on the Peak Saturday 8th April 2017 (this smaller airport is great for getting around and the drive to the hotel is only 1 hrs 30mins), we have then chosen a 4 star Doubletree at Universal hotel for you to enjoy right next to all the attractions that Universal have to offer. Also included is a 7 seater minivan for the full duration. Package two is again for a Saturday peak date, this time the 15th April 2017. 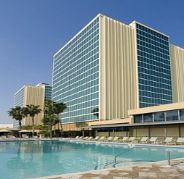 Our offer is based on an International Drive hotel staying at Mystic Dunes Resort & Golf Club. Overlooking an excellent golf course, this attractive hotel is surrounded by rolling hills and beautiful tropical gardens reviews here. We have then managed to find you flights on Delta Airlines via Atlanta to Orlando airport with good connections on the way out and found a smaller less crowded airport called Melbourne International (not Australia) only 1 hour from Orlando see map details, and of course the car hire company allow you to pick up and drop off anywhere within Florida which is great. We have used a full size 4 Door vehicle for this quote.